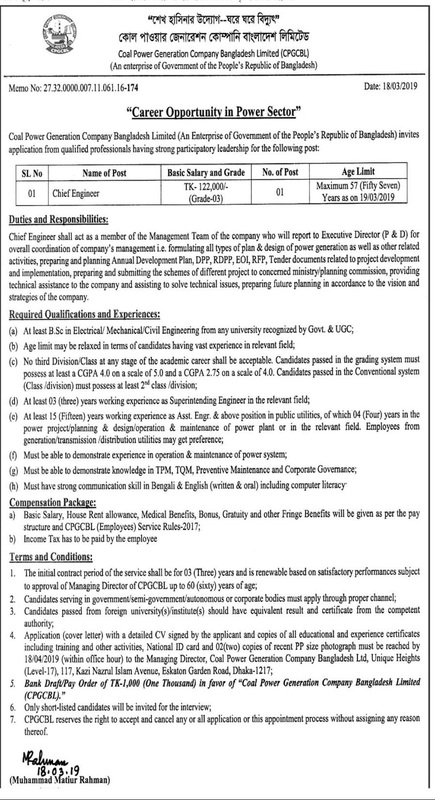 The Coal Power Generation Company Bangladesh Limited (CPGCBL) job circular 2019 has been published by the authority. 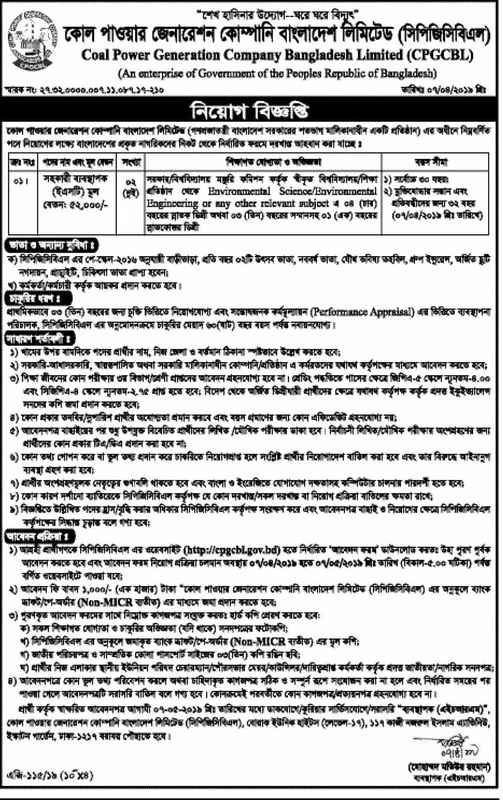 This is the latest job circular of Bangladesh power development board. It’s an attractive job circular. A maximum number of people want to join in a good sector. In this case, Coal Power Generation Company Bangladesh Limited (CPGCBL) has been created a great chance to unemployed people. It’s an attractive job circular. Anyone, can take this opportunity. To get Coal Power Generation Company Bangladesh Limited (CPGCBL) job circular 2019 related information, you can visit our website that is jobs.lekhaporabd.com. However, If you want to apply for this job,you should submit your application within 18 April & 07 May 2019. Coal Power Generation Company Bangladesh Limited (CPGCBL) is working to provide electricity almost everywhere. Coal Power Generation Company Bangladesh Limited (CPGCBL) job circular 2019 has been converted to an image file so that everyone can read easily or download this job circular. Coal Power Generation Company Bangladesh Limited (CPGCBL) job circular 2019 has been given below. Job’s Location: Anywhere in Bangladesh.